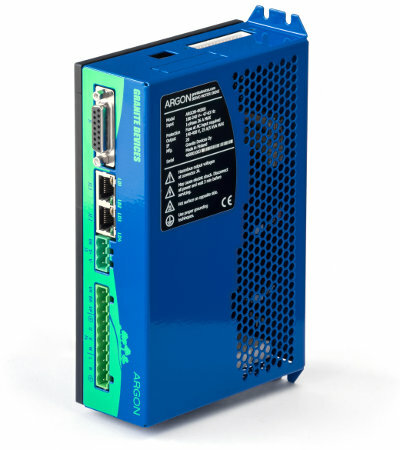 Versatile servo drive ARGON maximizes the flexibility by providing user modifiable open source firmware. 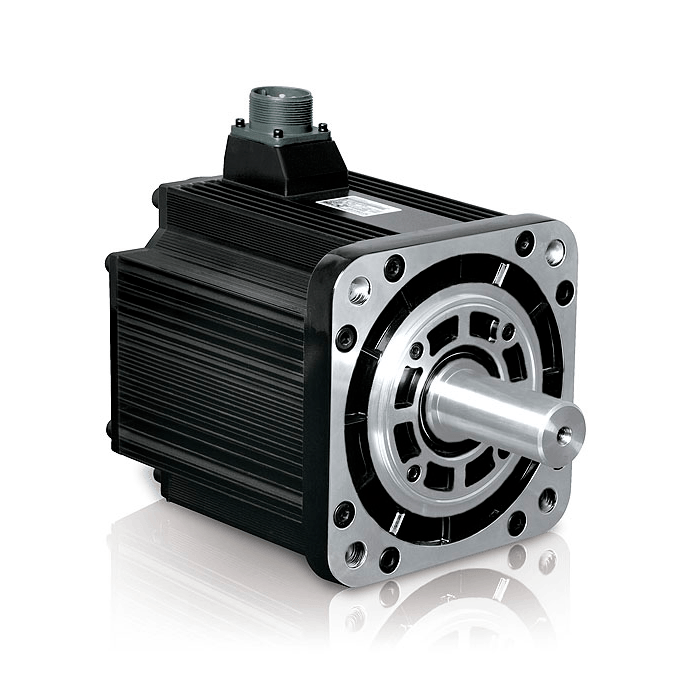 It supports any type of industrial servo motor including AC, Brushless DC, Brush DC and Linear motors. Argon can handle motor up to 1.5 kW power. 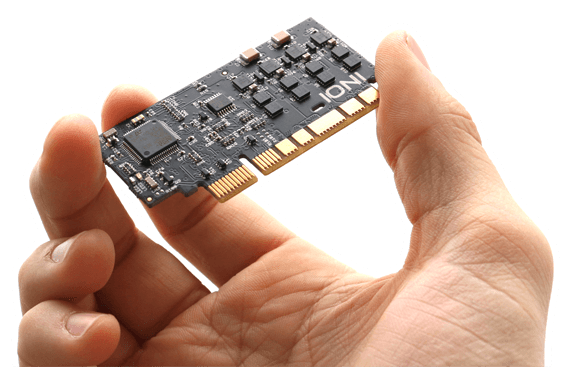 IONI, the "Swiss knife" of motor control, cuts the excess and focuses on the crucial. 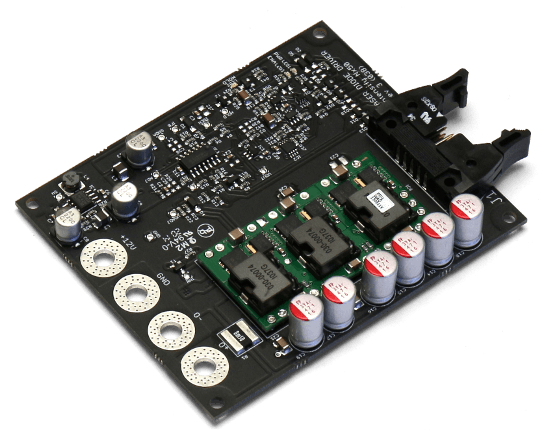 It drives AC, DC and Linear servo motors as well as stepping motors. Possible control methods include position, velocity and torque modes. IONI can handle up to 700 W of continuous power. 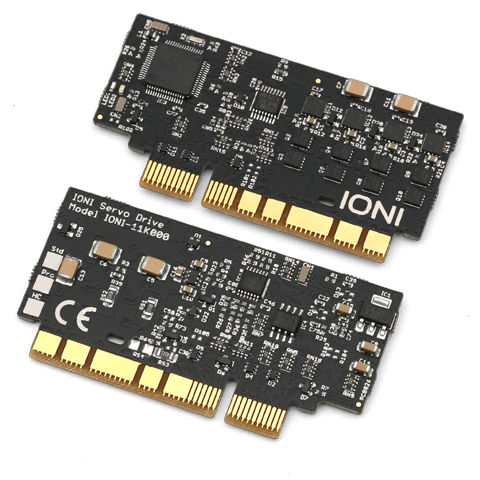 IONICUBE motion motherboards simplify the motion control system based on IONI drives. 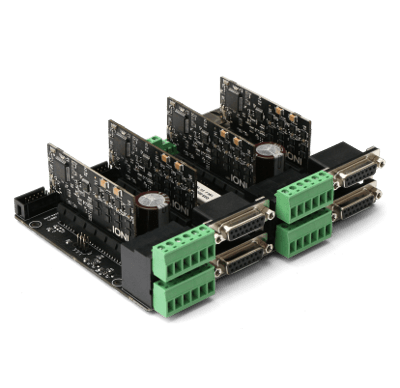 Build multiaxis motion control systems from 1 to 32 IONI drives by chaining IONICUBE motherboards. IONICUBE schematics are open source for custom designs. Intensify Nx50 shrinks high power laser diode drivers to a bare minimum by utilizing parallel-connectivity and 97% efficient power conversion. Nx50 delivers up to 50 A continuous laser current per board and scales up to 200 A current. Ideal for laser diode bar driving. From the very beginning, we have believed in building drives without excess and enhancing the essentials. Our core values are, One) Make no compromises, especially when it comes to device ruggedness or it's core functionality, Two) Sell only devices that one would choose to use by them-self over anything else, Three) Release a product only after it's finished — no deadlines are given or taken. Smart construction of hardware allows putting nearly all functionality in the embedded software. This is cool because replicating software has zero cost and also allows us to further develop the devices without reinventing the hardware. It also allows tailor made set of functionality whenever the customer needs it. Maybe the best of all is, the chosen approach will cause the minimum environmental strain due to smarter and minimized construction. We trust there is no negotiation with the planet, and some day it will take back the excess whether we wanted or not. Smartly built devices do not only save our planet, they save your wallet too. Regardless of minimal hardware designs, the key philosophy behind our endeavor is not to compromise the reliability or safety of the product. Our goal is to design devices that eventually would outlast us, the creators of the product. This is why the name Granite Devices was given — to give identity to the rock solid reliability. Ruggedizing devices has several important effects. Firstly, it saves the planet from excess waste. Secondly, it saves us from warranty expenses. And last but not least, it makes our customers happy and keeps them coming back to us. Top-notch hardware & easy-to-use software combined with best cost efficiency & great customer support. That's GraniteDevices! Buy with confidence, with Granite devices you won't be left alone with any issues whatsoever. Today Granite Devices turns 11 years! Our Granite team thank all our community members for making this journey so awesome! Be sure not to miss miss a special announcement written exclusively on our Twitter channel: https://twitter.com/GraniteDevices.